I decided at the last minute that I would jack my own swagger, for Halloween. In the 80's, I wasn't old enough to party like an adult or dress like one, so I said, why not dress in 80's costume for this Halloween, since last year, I dressed in 1940's costume. Don't I look like I could be stepping out of Salt 'n Pepa's, AHH PUSH IT, video? 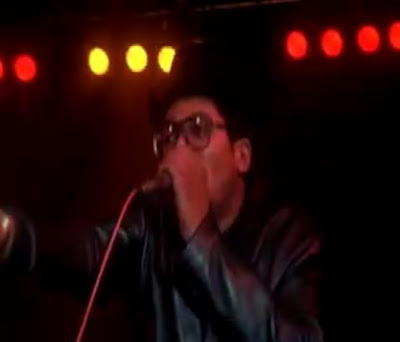 Yep, then I threw on the glasses and jacket from Run DMC, It's Like That. I think that I look pretty hot, as well, if I could say so, myself! LOL!